Regular car washes will keep your Audi S4 looking brand-new. Many elements contribute to a dirty exterior. Emissions in the environment as well as dirt and mud can keep your car from looking shiny and new. Contaminants can potentially eat away at paint and sometimes metal, so it is important to bring your Audi S4 in for a regular car wash to Hi Tech Luxury Imports near Boerne, TX 78006. When you bring your Audi S4 in for a car wash at Hi Tech Luxury Imports, your vehicle will be treated to a thorough wash, rinse, and shine. If your car builds up a layer of dirt and grime, both on the exterior and the windows, it can cause corrosion and cloud your visibility for the road ahead. A car wash at Hi Tech Luxury Imports will ensure that your Audi S4 is spotless and your windshield is clear for a safe driving experience. Here at Hi Tech Luxury Imports, we also offer optional add-ons with your car wash such as car wax. Waxing protects your Audi S4 from pollution and contaminants, as it provides a sacrificial layer on top of your car’s clear coat, so when you remove dirt, you are not rubbing directly on the paint. 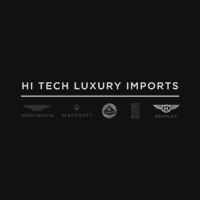 Our Hi Tech Luxury Imports team will treat your car how you want it to be treated, with the utmost care and precision. We have the right materials to leave your Audi S4 shiny and clean with a car wash at Hi Tech Luxury Imports near Boerne, TX 78006. Our car wash team here at Hi Tech Luxury Imports is not only trustworthy and meticulous, but also will also take care of your Audi S4 like it’s their very own. Along with your car wash, we will also vacuum your car’s interior and clean the dashboard and console. We also treat leather interiors with the right cleaning agents for a pristine finish. You’ll notice the difference right away with the Hi Tech Luxury Imports near Boerne, TX 78006 car wash team. When you bring your car in for a wash at Hi Tech Luxury Imports near Boerne, TX 78006, you can be in and out in no time. We service your Audi S4 as quickly as possible, without compromising quality. Our car washes include an exterior cleanse, interior vacuuming and cleaning, carpet shampooing, waxing, and, if needed, leather conditioning. The Hi Tech Luxury Imports car wash team gives your car the attention it needs, both inside and out. Schedule a service appointment today for your Audi S4 car wash at Hi Tech Luxury Imports near Boerne, TX 78006.